Cathy Coley writes amidst a very full life with kids, cats, and daily adventures. Her biggest adventure is launching her new novel for middle readers, 10-12 years old, Felix The Comet. She has blogged about her personal life at https://musingsinmayhem.wordpress.com/. Writer living in mayhem. 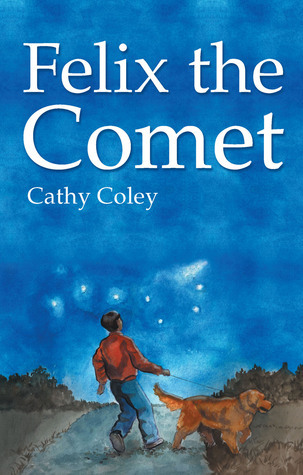 Felix the Comet http://bit.ly/1nwIbRh is also available in every ebook shop. Writing companion book, 2 screenplays & picture book. This is her author page. Thank you for visiting! Apologies and happy new year! I haven’t been completely silent for this long, just moved to my own website for blogging and other writerly stuff. Periodically, in my eight or so years of blogging, I have a habit of jumping platforms. Come find me and subscribe at cathycoley.com! I don’t talk much over there, either… but if something comes up, that’s a good place to find out about it.